I think of my dreams as a world without limits; a world where I can float, fly, jump from place to place at the speed of light and where I often meet characters and situations surreal, frightening and mystifying. In my dreams I find my deepest fears, most cherished hopes, my subconscious patterns and beliefs, and profound opportunities for healing. In my dreams I discover the hidden laws that govern my waking reality. I have worked with my dreams most of my life. Even in childhood I loved deciphering my dreams, calling them ‘movies’ when I was young – movies that I wrote, directed and starred in! Without dreaming, you and I would struggle to find balance in life. Dreams are more than just interesting anecdotes to relay when you can remember them. They are the vital processes that keep you functioning in your day to day busy world. They connect you deeply to a treasure trove of knowledge about yourself and your life that sleeps just beneath the surface of your conscious mind. Your dreams help you remember who you truly are – a radiant being of light here to share your gifts and talents with the world. Being able to analyze your dreams is like being a good detective – you know what happened (the dream scenario) but you have to find and comb through the clues left behind to figure out the who, what, how and why in order to correctly solve the case. Your dreams are windows to your very soul with the subconscious the spiritual bridge between your waking life and your true nature as a being of energy and light. The clues in your dreams are ones worth discovering as your dreams can literally change your life for the better. Think of your subconscious as more than just that place where those habits you try so hard to overcome hide out. Your subconscious is a vast storehouse of information accumulated from your earliest beginnings. 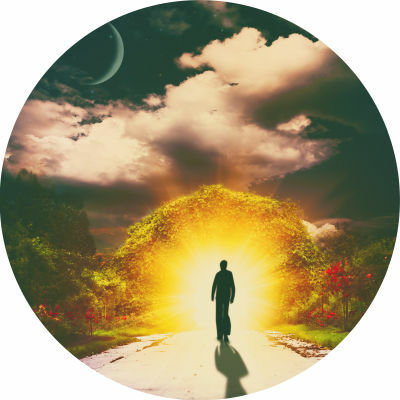 When you go to sleep you begin a journey into a different reality, one that opens the gates of the universe to you and puts at your disposal the wisdom not only inherent in you but shared by all. If your life were a reality show, your subconscious would be the camera, always on, always recording impressions of your daily experience. While you go about your day to day life, the camera stays on capturing thoughts, feelings, and actions – yours and the effect of others’ actions on you. That is why you might dream, for example, that you are back in school preparing to take a test and unable to find the combination to your locker – a dream common to many people. A dream like this often comes up when you feel unprepared for a particular situation in your life – when you feel you are being tested and fear you don’t have the knowledge or resources to meet the test. The subconscious searches through the archives and brings forward the perfect imagery to convey this feeling – a similar experience from your school days. This is how the dreaming mind works. In this sleep-deprived modern life you may not often remember your dreams so here is a technique to begin to work with your dreams. Your subconscious responds to intention so set an intention that you are going to remember your dreams and then make sure to record them as you have them. Keep a dream journal and pen by your bed. You can buy one of those lovely dream journals sold in the larger bookstores or just keep a small notepad. The journal form itself doesn’t matter. Your regular use of it does. Each night before going to sleep mentally affirm that you are open to remembering a dream. That’s all you have to do. Just be open to the possibility and see what happens. When you awake with a dream in your consciousness, take time right away to write it down. Note everything you can recall – the actions, feelings, characters, colors, setting – everything that you can describe. Don’t try initially to analyze your dreams, just record them. You are beginning a practice of working with your dreams so it is important to just get in the habit of writing them down. As you do so you will find it easier and easier to remember them. Your dreams come from a part of you that is always connected to spiritual truth; that is always connected to the Divine Mind and Heart. Wishing you amazing adventures on the journey within!